Parliament’s public enterprises committee as part of its oversight had encouraged the executives and board chairpersons of State-owned Entities (SoEs) to share information to improve performance. But a meeting in early 2015 called by then SAA board chairperson Dudu Myeni with her Eskom counterpart Zola Tsotsi at the presidential residence in Durban wasn’t quite what had been contemplated. It was that meeting, at which President Jacob Zuma also made an appearance, according to testimony at the parliamentary State Sapture inquiry on Wednesday, which set in motion a series of suspensions and resignations at Eskom that link to further State Capture deals. By MARIANNE MERTEN. A phone call from President Jacob Zuma on the eve of the Eskom board meeting scheduled for 26 February 2015 led to the postponement of what was meant to be the first gathering since the appointment of new members late in 2014. The president had called Eskom board chairperson Zola Tsotsi after he had been unable to get hold of the public enterprises minister or the deputy to say he could expect a call from the public enterprises acting director-general. “In her view, the suspension of the executives will not create difficulties because it will be explained that they are not accused of wrongdoing, but they are being asked to allow space for the enquiry to proceed unencumbered by their presence. Tsotsi delivered his testimony to Parliament’s public enterprises inquiry into State Capture deadpan and calmly. But he battled to explain during the subsequent questions why he didn’t ask why this invitation to a meeting on Eskom had come from someone who has nothing to do with Eskom and was held at the presidential residence. Yes, he had tried to ask Myeni, but she did not want to discuss it over the phone. No, he did not raise it during the meeting itself. Yes, he tried again later, but did not succeed. 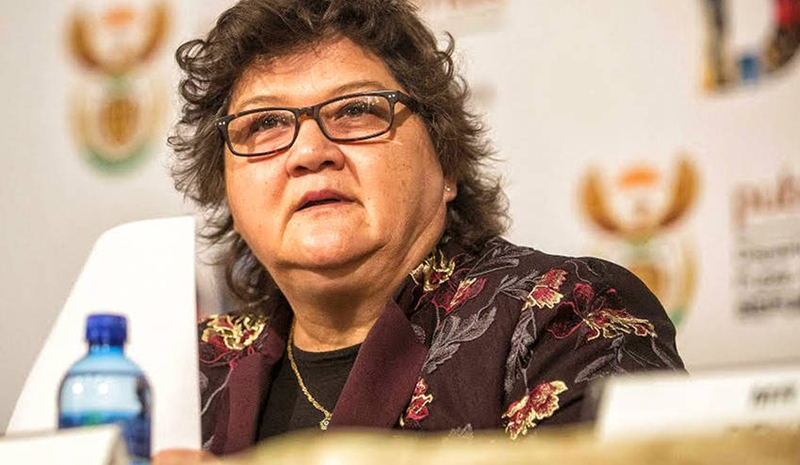 As at that point his relationship with Public Enterprise Minister Lynne Brown had broken down, and he took the matter to the board as it was the appropriate platform to make this decision on suspension. After an initial meeting, the minister was invited to a second one a couple of days later on 11 March when the suspensions were agreed to. Tsotsi explained there was no one on the board who opposed; it was only a question of whether there could not have been another human resources process, for example, recusal. On Tuesday the inquiry had heard from former non-executive board members Venete Klein and Viroshini Naidoo that there had been concern about the suspension they said was vigorously argued for by Tsotsi, but the board sought to allay aspersions on the executives by emphasising there actually were no charges against them. At the time, in 2015, Brown publicly appealed for space for this “deep-dive” investigation into the state of affairs at Eskom. That eventually led to the Denton report, the full release of which has been pushed for by the DA after a heavily redacted document was made available amid official insistence, including from Brown, that most of its recommendations had been implemented. Presidency spokesperson Bongani Ngqulunga could not be reached for comment by phone and he did not respond to a text request on Wednesday. However, the public enterprises inquiry resolved to invite Myeni alongside Tony, Atul and Ajay Gupta, as well as other persons named in testimony to appear before the inquiry. The EFF and African Christian Democratic Party (ACDP) also requested for Zuma to be invited. The meeting called by Myeni at the Durban presidential residence set in motion steps that led to the suspension of Matona, Marokane and Koko – with Eskom finance director Tsholofelo Molefe added to the list during subsequent board discussions – which ultimately led to the departure of three of the four executives by mid-2015. By 23 May 2015 also gone was Tsotsi, who earlier told MPs how Tony Gupta told him days before the 2015 State of the nation Address (SONA) that he was “not helping us with anything. We are the ones who put you in the position you are in. We are the ones who can take you out.” Officially Tsotsi resigned, but on Wednesday he described his departure as a “removal” after the board had obtained a legal opinion that was critical of his on the job performance and proffered “trumped up” charges. In place of those who left Eskom came Ben Ngubane as Eskom board chairperson and Brian Molefe, initially as acting chief executive, then full-time from 1 October 2015. The official narrative is that Molefe beat load shedding that cost South Africa’s economy over R400-million a day – and for this he received a glowing endorsement not only from the board, but also the minister. But at the same time unfolded the controversial R1.6-billion pre-paid coal deal that ultimately enabled the Gupta-linked Tegeta to purchase Optimum coal mine from Glencore, and payments to the Gupta-linked Trillian Capital Partners in its off-the-books dealings with McKinsey. Koko was the only executive who returned to Eskom and was appointed acting chief executive before he was suspended for dodgy contracts, including one to a company run by his stepdaughter. According to earlier testimony to the inquiry by Eskom board spokesperson Khulani Qoma, initial steps by the board to suspend Koko earlier this year were averted when Zethembe Khoza – he was acting Eskom board chairperson after Ngubane resigned amid the controversy over Molefe’s early retirement/resignation earlier this year – alerted a “G-brother”. The unnamed Gupta brother in turn called Brown, who called the board chairperson. That’s why Brown was captured, according to Qoma. The #GuptaLeaks have unearthed a network of dodgy dealing involving SoEs, the Gupta family-linked companies and related business partners like Salim Essa, into top political echelons. She appealed for moves to support SoEs, not beat them down with “the weight of untested allegations”. There was never a time when she let go of her executive functions. But it’s not her role to get involved in procurement as a rule, except for the limited circumstances prescribed in the Public Finance Management Act (PFMA). It’s not her role to get involved in operations. It’s also not her role to get involved in bid evaluation and adjudication processes. Nor is she responsible for recruiting and interviewing potential board appointees. “The shareholder (minister) receives the list from the department and asks for the necessary clarifications before taking it for consultation to the deployment committee (of the ANC) and then to Cabinet for approval. The list of board members approved by Cabinet are appointed by the shareholder,” explained Brown, adding that she had never changed the short list from which members are appointed. It was an often bruising interaction with MPs that went on well over six hours until just before midnight on Wednesday. And that meeting between Myeni, Tsotsi and Zuma kept on popping up. Brown stayed on her message of not knowing, even if she did acknowledge having discussions with the president around Eskom and Eskom-related matters like independent power producers (IPPs). “It’s the first time I’m hearing of this meeting,” she said.